Mortgage fraud is considered a dangerous crime because it contributes to national financial woes and wreaks havoc everywhere from residential neighborhoods to global financial centers. A prime example was the housing bubble burst in 2008 that involved millions of home foreclosures and neighborhoods blighted by abandoned homes. In the wake of that scandal, banks and mortgage underwriters were made to pay dearly in civil and criminal fines. Some individuals were pursued individually, though few were actually convicted. At The Ansara Law Firm, our South Florida mortgage fraud defense attorneys know Florida continues to be at the forefront of this issue, with CoreLogic reporting an estimated 13,400 mortgage applications nationally in a single recent yearly quarter contained fraud. The mortgage application fraud risk index has been on a steadily rising trend since 2010. Industry insiders have speculated that the move to digital mortgage processes could limit opportunities for phony underwriting information because data will come directly from reliable sources to the lender, but some may be able to get around this using income and asset sources that aren’t digital and can’t be easily verified. Florida has consistently ranked in the top three states with the highest application fraud risk over the last decade. South Florida in particular continues to see concentrations of mortgage fraud – and mortgage fraud prosecutions. These falsehoods have the potential to influence a financial institution’s decisions. Some of those decisions might be whether to approve a loan, accept a lower payoff amount or agree to certain terms of repayment. In the aftermath of the housing market crisis, the FBI also considers mortgage fraud to involve schemes to defraud distressed homeowners. Foreclosure rescue schemes. This is when individuals identify homeowners at risk of mortgage loan default or foreclosure and mislead those homeowners into believing their home can be saved by putting the property in the name of an investor or transferring the deed. Defendants in these cases are accused of profiting by selling the property to a straw buyer or investor, creating equity using a phony appraisal and stealing seller proceeds or fees paid by the homeowner. Occasionally, homeowners are told they can pay rent for a time before repurchasing the property, but then the defendant doesn’t make mortgage payments and the home goes into foreclosure. Illegal property flipping. This is when a property is bought, falsely appraised at a higher value than it’s worth, and then sold very quickly. Flipping property is not illegal, but it can be if there was a phony appraisal or other information provided during these transactions. Loan modification schemes. These scams involve individuals who say they will help homeowners late on mortgage payments and at risk of foreclosures by renegotiating the terms of their loan. Instead, they demand large upfront fees and obtain unfavorable terms for the client, if they negotiate at all. Homeowners usually still lose their homes. Condo conversion/ builder bailouts. These involve builders who have too much inventory and falling demand on new home structures who try to offset losses by finding buyers for the properties, but then allow the site to go into foreclosure. In condo conversion scams, apartments purchased by developers are converted into condos, inflate the value and recruit straw buyers, whose assets and income are often inflated on formal documents. Silent second. This occurs when a property buyer borrows the down payment from the seller via a non-disclosed second mortgage. Primary lender is led to believe the buyer is putting up their own down payment. Commercial real estate loans. Owners of commercial real estate that is distressed may obtain financing by altering the appraised value of the property, exaggerating the profitability and inflating its value, duping lenders into giving loans to the owner. When the loans eventually go into default, the lender is left with a commercial property that is blighted and difficult to rent. Mortgage fraud can be prosecuted at either the state or federal level, depending on the circumstances. Mortgage fraud does not have its won federal statute, so federal defendants are typically convicted under the statutes for bank fraud, mail fraud or wire fraud – or some combination. Most offenses will fall under the U.S. Fraud Enforcement and Recovery Act of 2009, which gives federal prosecutors the authority to move on mortgage fraud cases as bank fraud. In Florida, the offense of mortgage fraud is codified in F.S. 817.545. State law outlines these offenses as third-degree felonies, punishable by up to five years in prison. However, if the loan value used in the mortgage lending process exceeds $100,000 (as many mortgages do), then it is considered a second-degree felony, punishable by up to 15 years in prison. These allegations can be confusing, and the consequences are severe. It’s imperative that a skilled mortgage fraud defense attorney help you navigate the system and fight for the most favorable outcome. 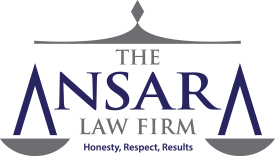 If you have been arrested for mortgage fraud in South Florida, contact the Fort Lauderdale Criminal Defense Lawyers at The Ansara Law Firm by calling (877) 277-3780.